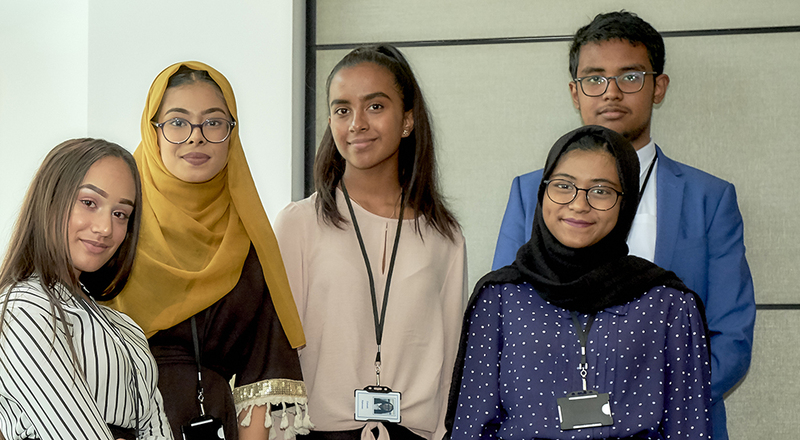 Our vision is to help current and former students of Tower Hamlets develop the skills and connections required for successful careers. If you are a young person at a school in the borough, please contact your school Careers Lead for information about how to get involved in our programmes. If you have taken part in our programmes at school and are over 16, we also offer an Alumni Network to provide ongoing support to connect you to the world of work. +Why join our Alumni Network? Employability events designed to help those looking for graduate jobs internships or work experience. Networking events supported by local companies and business volunteers. Giving back to the community by volunteering at a local school, attending a careers event for current students, or organising a reunion. Becoming an Alumni Ambassador to help champion the network. +Could you be an Alumni Ambassador? We have a dedicated group of Alumni Ambassadors who play a key role in helping to champion the network and give back to the local community. Alumni Ambassadors use their knowledge, skills, and experiences to encourage and motivate young people to progress onto the next stage of their education. School visits – visiting schools and sixth forms to share experiences of education, employment, and/or training. Alumni Network Focus Groups – attending focus groups to discuss ways to improve and develop the network. Stewardship – helping to organise and steward large scale events organised by Tower Hamlets EBP. Our Ambassadors include apprentices, university students, and graduates who are now in full-time employment. As well as supporting others through volunteering, Ambassadors are given the opportunity to develop their own leadership skills, build confidence, and meet people from a range of backgrounds. Join the Alumni Network here. Contact our Alumni Team to express your interest in becoming an Alumni Ambassador. They will explain the next steps and ways for you to start getting involved. "My advice to school leavers would be to take advantage of the rich benefits that the Alumni Network has to offer. It provides a range of development opportunities and a great way to make contact with lots of different people. It could be crucial in helping you get on the first rung of the career ladder, in what is a highly competitive job market"
Mohammad Khan Tower Hamlets Education Business Partnership Alumni Network Ambassador. Former Tower Hamlets Student. The latest news about our programmes, partners and schools.